Who is this idiot judge?????? How can he do this????? Figures a "FEMALE" judge would do this! Why make Usher go into deeper debt by letting this woman run up his credit card??? Why not order him to pay with cash or checks!!???? She says she uses this card for her stylist business?!?! If she can't pay her business expenses on her own, why bother working. For real, such BS. Just because he makes a lot of money doesent mean baby momma deserves a lavish lifestyle. This is a department store card!!!!!!!!!!!! She cant buy real necessities with it! She's a total gold digging clam. He should have never married her in the first place..
Do You Listen to Your Mama When it Comes to Love? Things have been bad between these two for a while and some of the allegations they’ve pegged against one another to prove their the more suitable parent are laughable, but after seeing Usher break down on the stand after hours of questioning during the trial yesterday, the emotional toll the whole situation is taking on him is a bit heartbreaking. 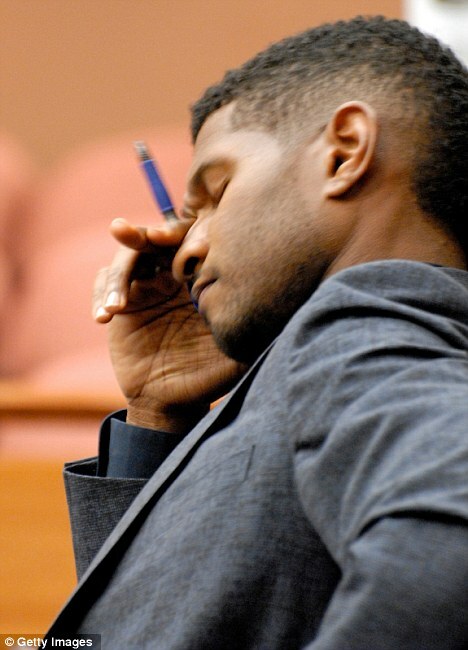 Usher was award primary custody today. Custody battles are hard. Hopefully this will help the kids have more of a relationship with both of their parents.